Parramatta Light Rail Environmental Impact Statement (EIS) being released for community and stakeholder feedback. Parramatta Light Rail has reached the next major milestone with the project’s Environmental Impact Statement (EIS) being released today to allow for community and stakeholder feedback. 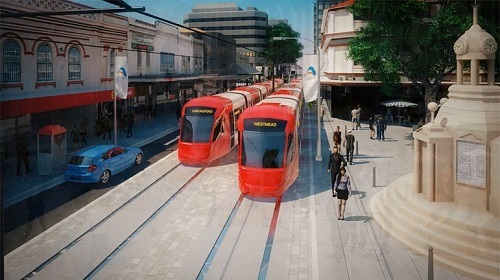 Minister for Transport and Infrastructure, Andrew Constance said the Parramatta Light Rail will transform Sydney’s second CBD, with reliable and modern public transport offering 16 stops that will link major health, education and entertainment precincts in the region. “We are getting on with the job of delivering this important infrastructure project and I encourage the community to get involved and help shape this exciting project for Western Sydney,” Mr Constance said. Access to light rail for an estimated 130,000 people within walking distance of the stops, increasing to 180,000 by 2041 - more than half the area’s total population. The NSW Government has also applied for Parramatta Light Rail to be considered as Critical State Significant Infrastructure. This will be assessed at the same time as the EIS. Construction on Stage 1 is expected to start in 2018, with light rail to begin operating in 2023. Planning work for Stage 2 of the project is being developed in collaboration with Sydney Metro West and is expected to be completed by the end of 2017. The community can find out more about Parramatta Light Rail and have its say on the project from today with the Environmental Impact Statement (EIS) on display until 23 October 2017.